This was the first presidential election in 50 years without the full protections of the Voting Rights Act. There were 25 debates during the presidential primaries and general election and not a single question about the attack on voting rights, even though this was the first presidential election in 50 years without the full protections of the Voting Rights Act. Fourteen states had new voting restrictions in place for the first time in 2016—including crucial swing states like Wisconsin and Virginia—yet we heard nary a peep about it on Election Day except from outlets like The Nation. This was the biggest under-covered scandal of the 2016 campaign. We’ll likely never know how many people were kept from the polls by restrictions like voter-ID laws, cuts to early voting, and barriers to voter registration. But at the very least this should have been a question that many more people were looking into. For example, 27,000 votes currently separate Trump and Clinton in Wisconsin, where 300,000 registered voters, according to a federal court, lacked strict forms of voter ID. Voter turnout in Wisconsin was at its lowest levels in 20 years and decreased 13 percent in Milwaukee, where 70 percent of the state’s African-American population lives, according to Daniel Nichanian of the University of Chicago. Andrew Voegele, a schoolteacher, recently moved from Minnesota to Wisconsin and was forced to cast a provisional ballot yesterday that will not be counted unless he surrenders his Minnesota license and spends $34 for a Wisconsin driver’s license by Friday. The ACLU filed a court order last night to have his vote count. Over 200 people in Wisconsin petitioned the DMV on Election Day to get a voter ID. How many people were turned away from the polls? How many others didn’t bother to show up in the first place? These are questions we need to take far more seriously. In 2014, a study by Rice University and the University of Houston of Texas’s 23rd Congressional District found that 12.8 percent of registered voters who didn’t vote in the election cited lack of required photo ID as a reason they didn’t cast a ballot, even though only 2.7 percent of registered voters actually lacked an acceptable ID. 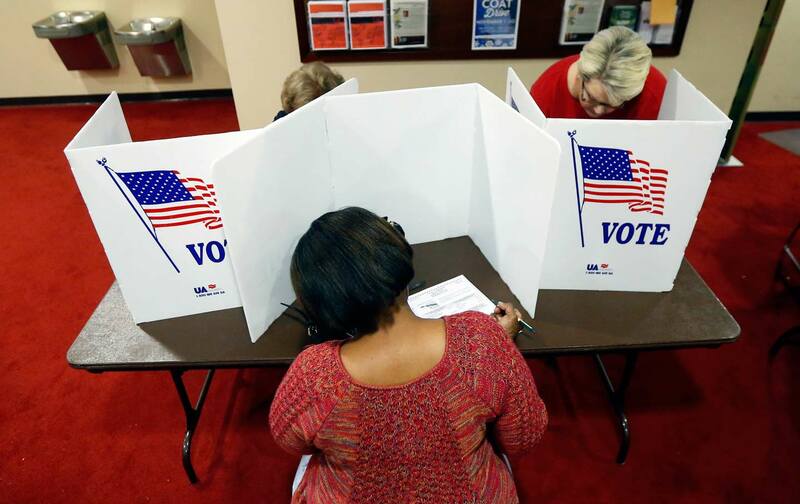 Texas’s strict voter-ID law blocked some voters from the polls while having an ever larger deterrent effect on others. Eighty percent of these voters were Latino and strongly preferred Democratic candidates. On Election Day, there were 868 fewer polling places in states with a long history of voting discrimination, like Arizona, Texas, and North Carolina. These changes impacted hundreds of thousands of voters, yet received almost no coverage. In North Carolina, as my colleague Joan Walsh reported, black turnout decreased 16 percent during the first week of early voting because “in 40 heavily black counties, there were 158 fewer early polling places.” Even if these restrictions had no outcome on the election, it’s fundamentally immoral to keep people from voting in a democracy. The media devoted hours and hours to Trump’s absurd claim that the election was rigged against him, while spending precious little time on the real threat that voters faced. I want to salute the people that did cover voting rights doggedly, including Rick Hasen of the Election Law Blog; Michael Wines of The New York Times; Sari Horwitz of The Washington Post; Alice Ollstein, Kira Lerner, and Ian Millhiser of Think Progress; Tierney Sneed of Talking Points Memo; Zack Roth, Joy Reid, Chris Hayes, Rachel Maddow and Al Sharpton of MSNBC; Mark Joseph-Stern and Jamelle Bouie of Slate; David Graham of The Atlantic; Brad Friedman of The Brad Blog, in addition to great local reporters like Bryan Lowry of the Wichita Eagle; Patrick Marley of the Milwaukee Journal-Sentinel; and Colin Campbell of the Raleigh News & Observer. ProPublica organized an essential Electionland project with reporters across the country. But when it really mattered, too many in the media treated the right to vote as a fringe issue instead of the most fundamental issue in the election.